Cassidy Patterson is a loving mom expecting her second child. 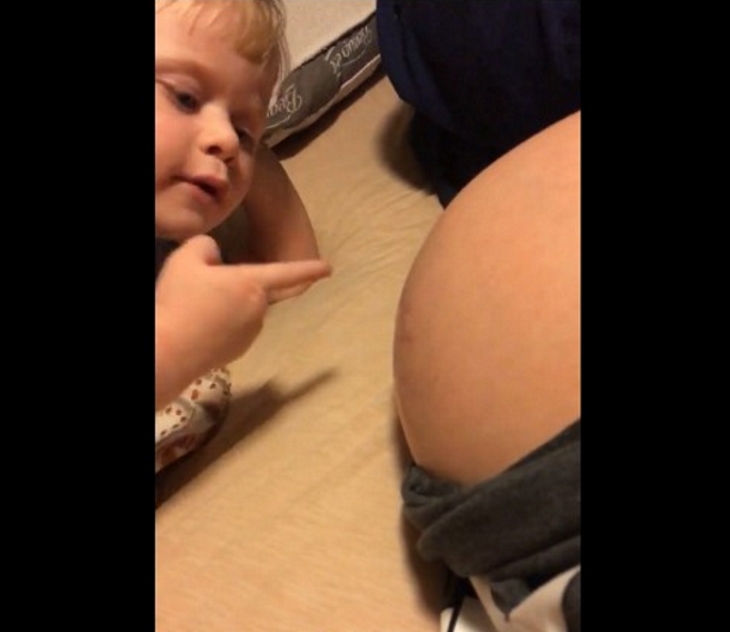 Since she has already gone through the pregnancy rounds once before, mom probably thought she had already seen and heard it all. But, the one thing Cassidy had yet to experience was the baby bonding experience with her little 3-year-old boy. As in, her boy was bonding with her baby! 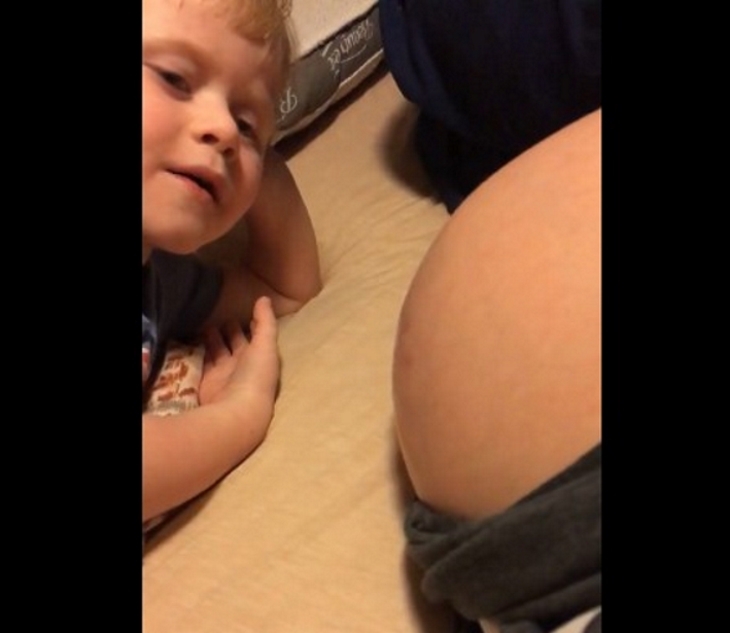 Now that Cassidy has a bump that’s getting bigger every day, her fascinated son Mason is always by her side. He’s super affectionate towards the baby and absolutely loves talking to his new sister. He doesn’t even mind that mommy’s belly is in the way! In the video clip, we can see Mason lying on the bed next to mom, and he can’t stop staring at her belly with his cute puppy dog eyes. It’s pretty obvious that this munchkin is going to be doting on his little sister as soon as she grows big enough to be born. Mason was totally enamored with the baby and was making polite small-talk with her, until she had the nerve to give him some lip… or rather, her feet! Right in the middle of their conversation, she squirmed around in mommy’s belly and gave Mason a high-kick salute that he’ll never forget. LOL! The expression on his face and what he does next is priceless! Maybe he thought it was a baby lion grumbling around in there? 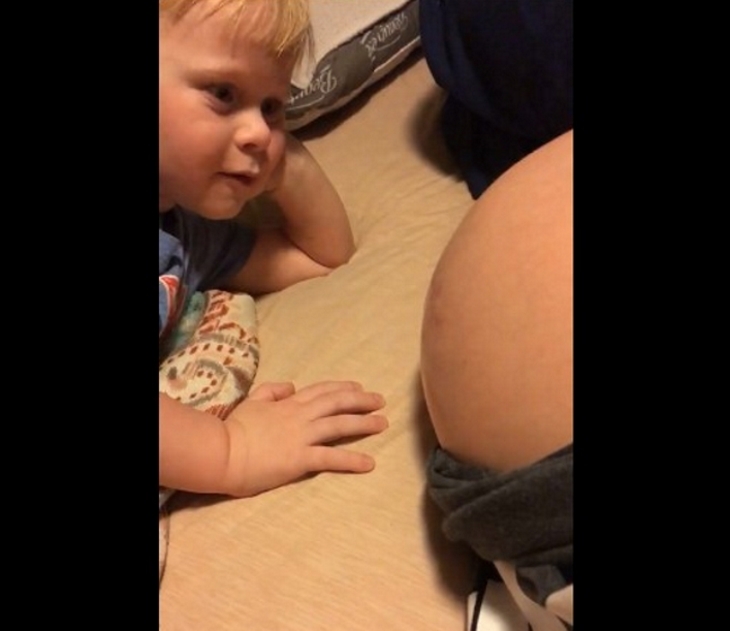 Watch this video to see Mason’s hilarious reaction to his sister’s kick.